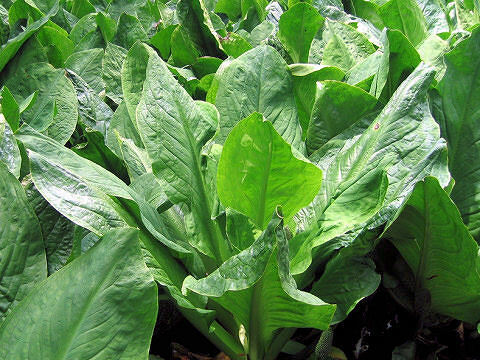 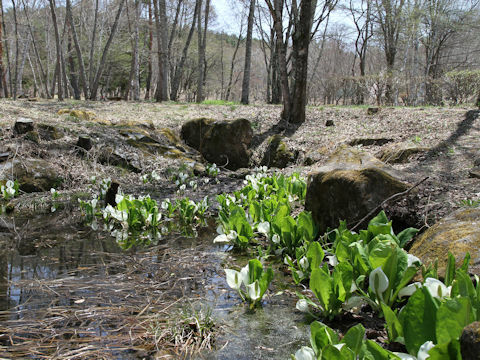 Skunk cabbage (Lysichitum camtschatcense) belongs to the Araceae (the Arum family). 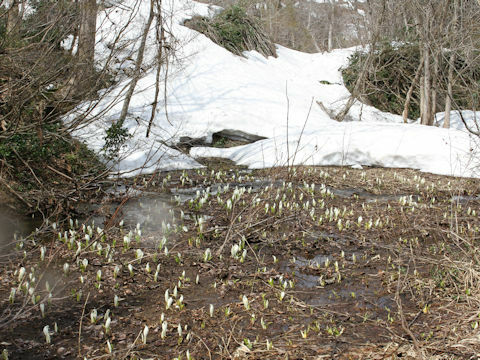 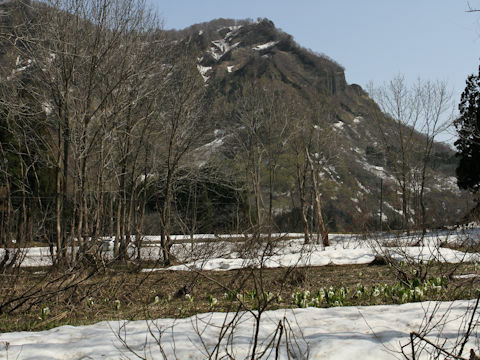 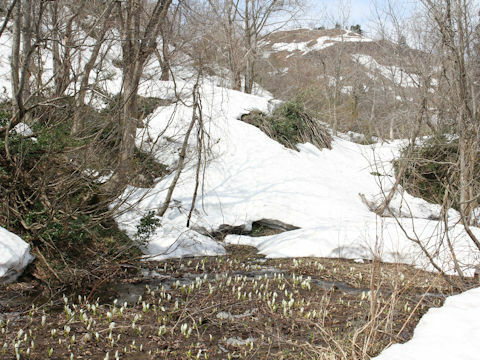 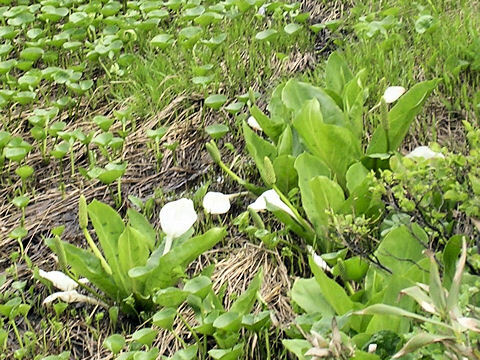 It is a perennial herb that is distributed northward from Chubu district of Honshu to Hokkaido of Japan, also the Kuril Islands, Sakhalin and the Kamchatka Peninsula. 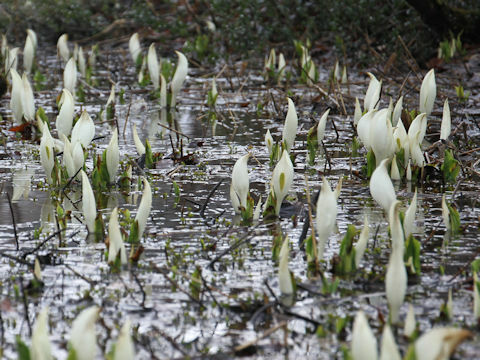 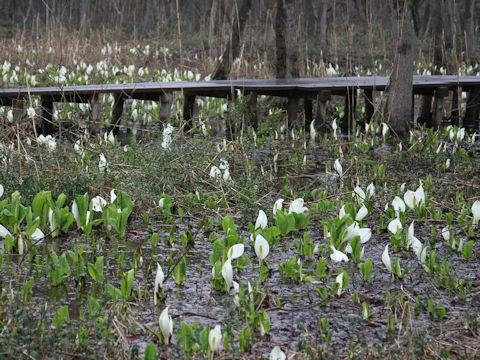 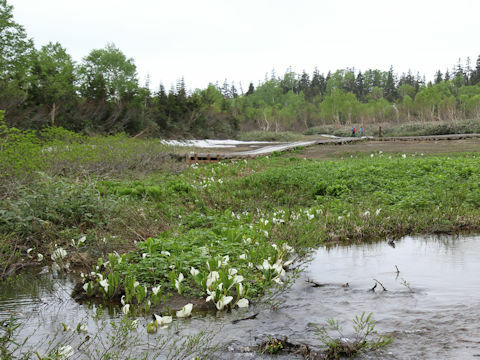 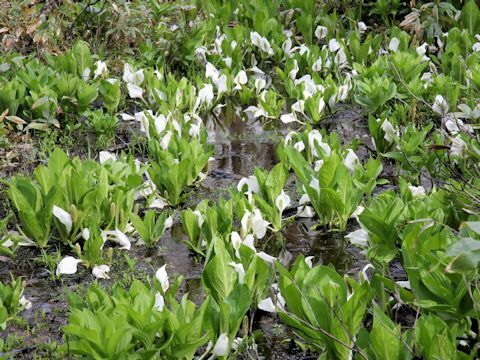 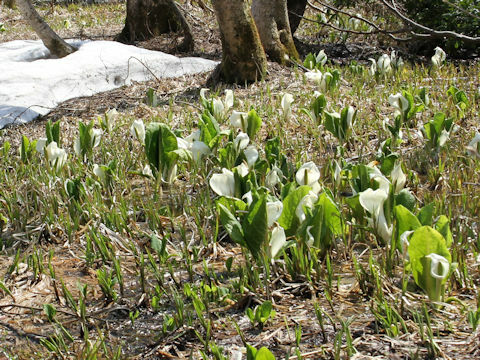 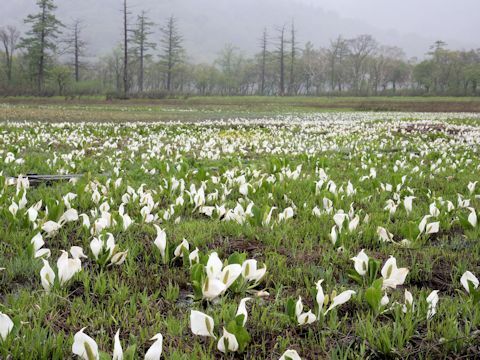 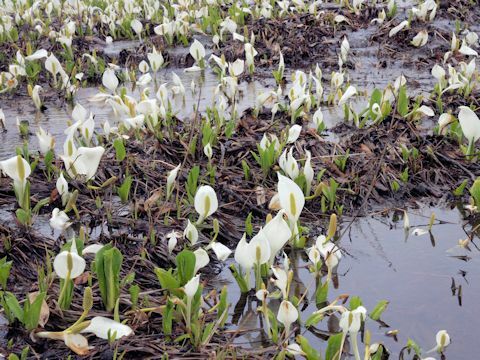 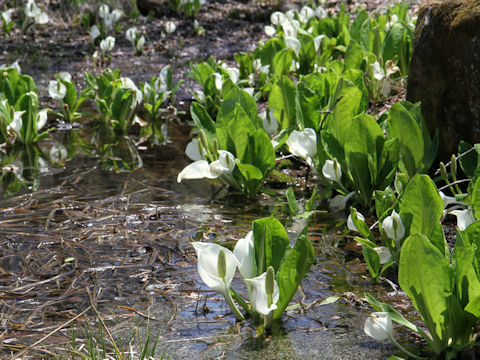 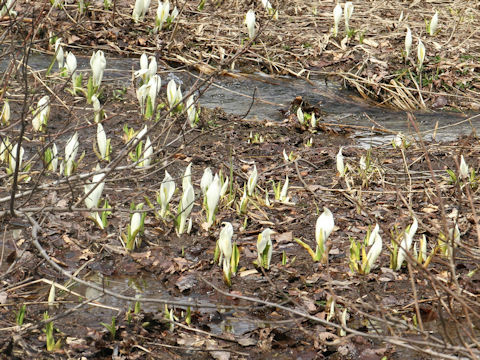 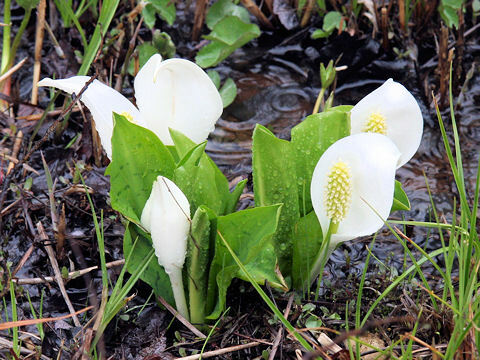 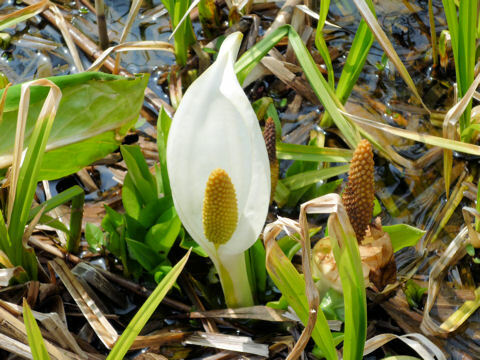 This herb grows in marshes or bogs. 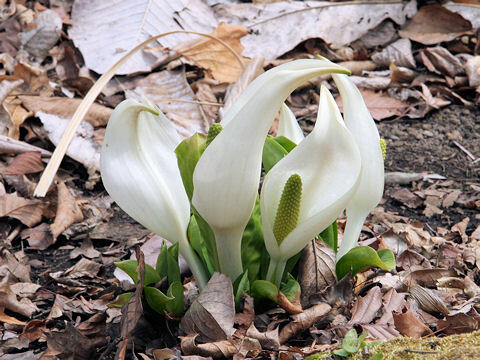 The leaves are large and look like Japanese banana. 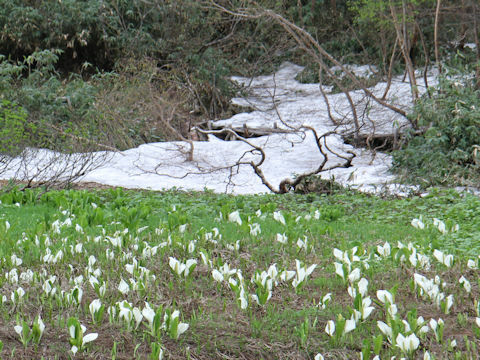 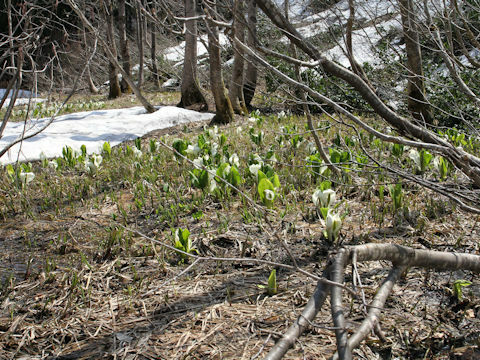 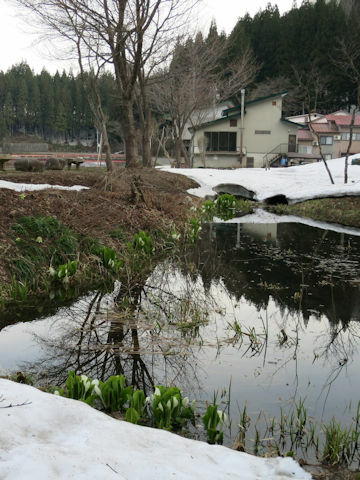 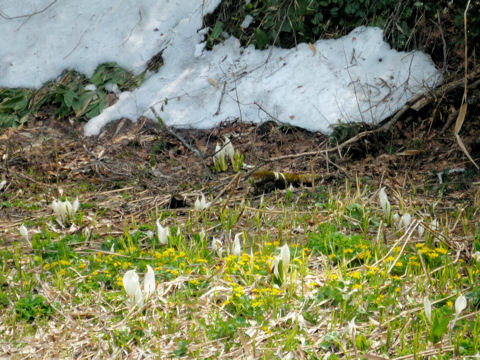 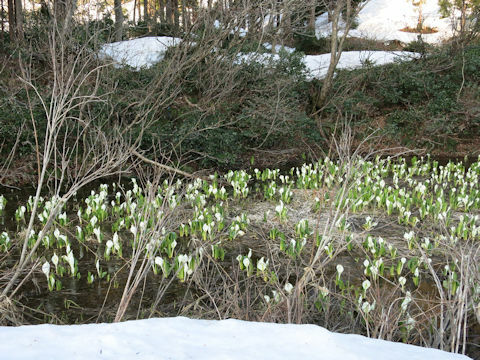 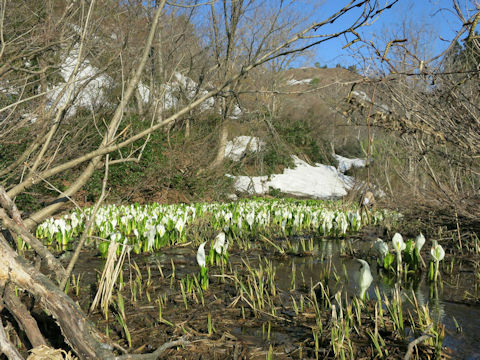 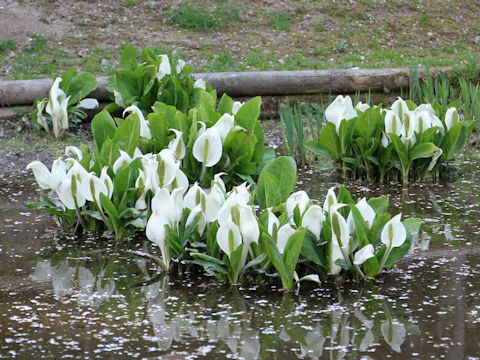 The white flowers come from May to July. 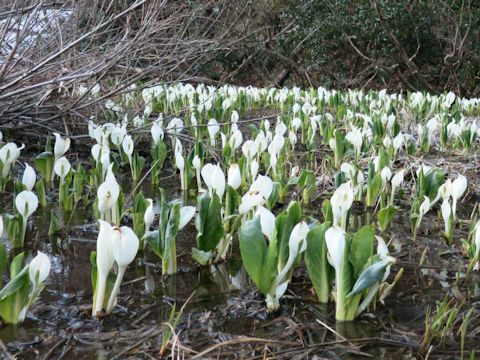 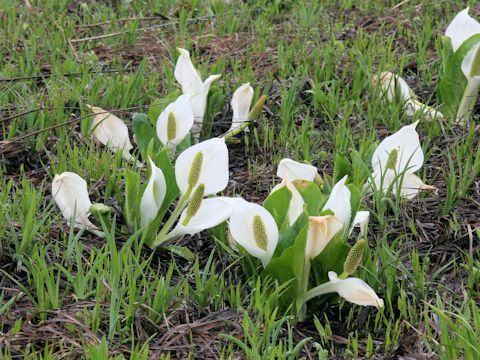 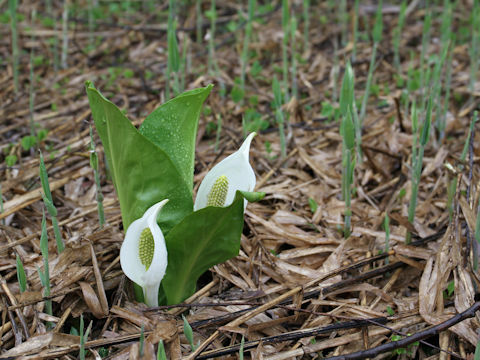 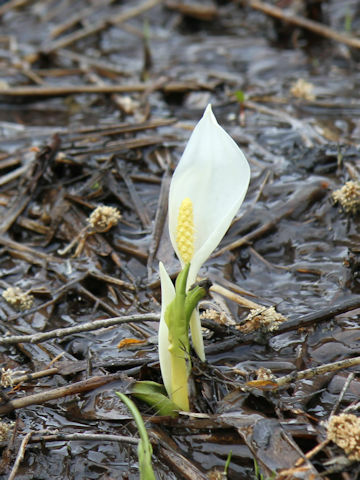 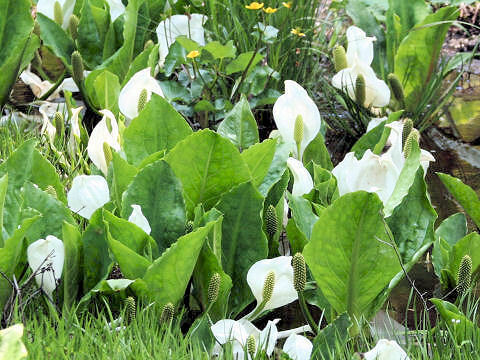 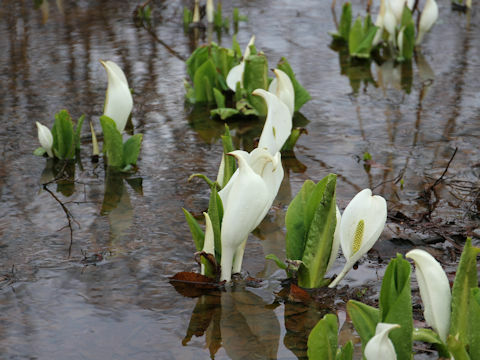 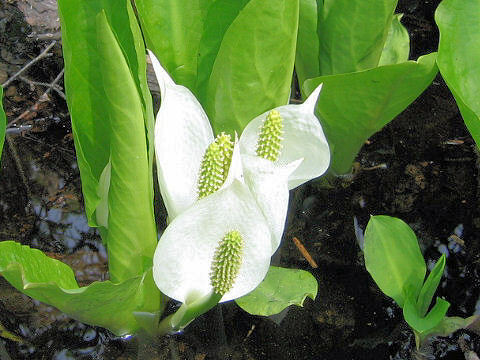 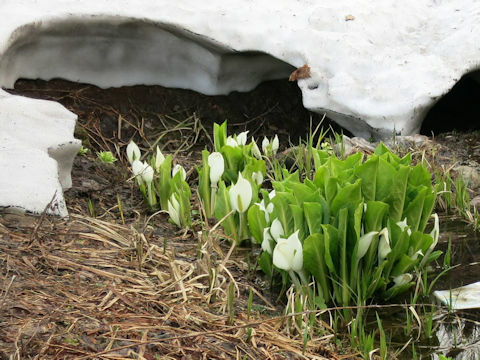 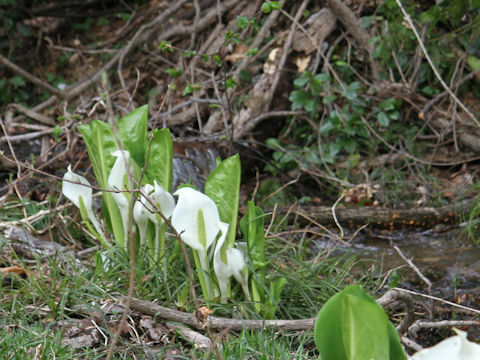 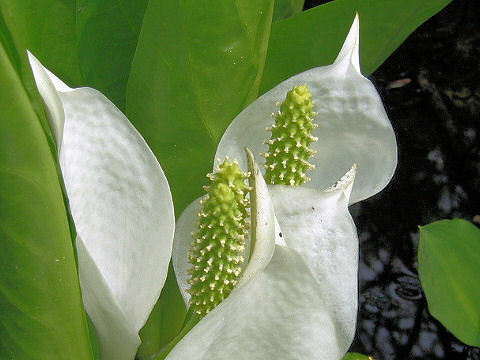 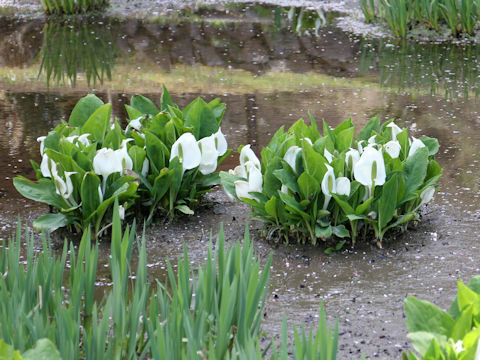 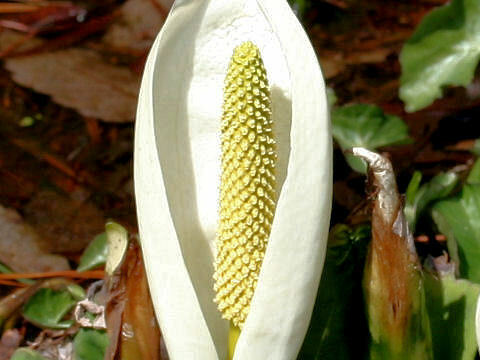 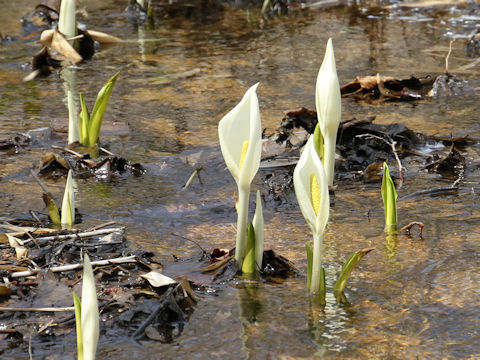 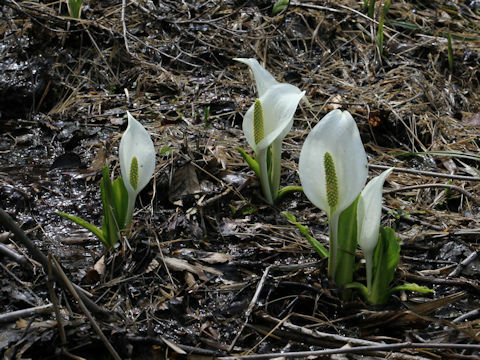 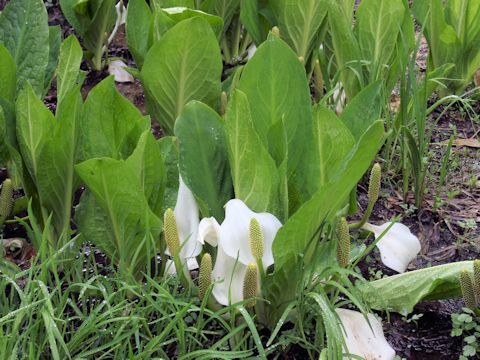 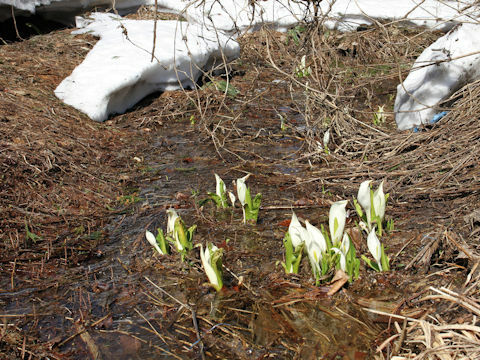 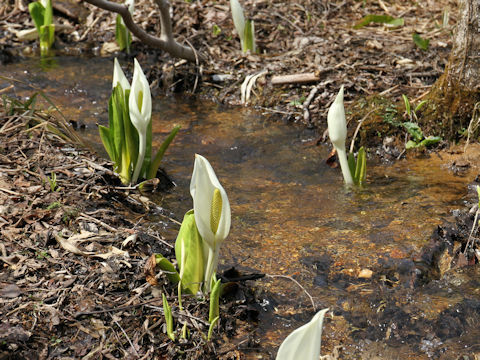 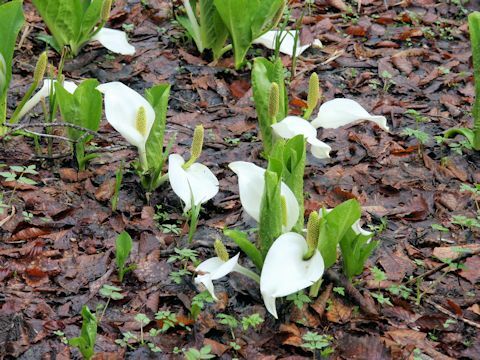 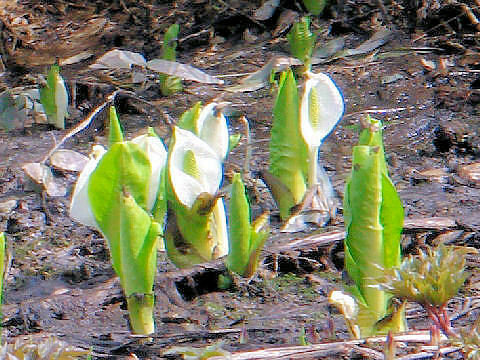 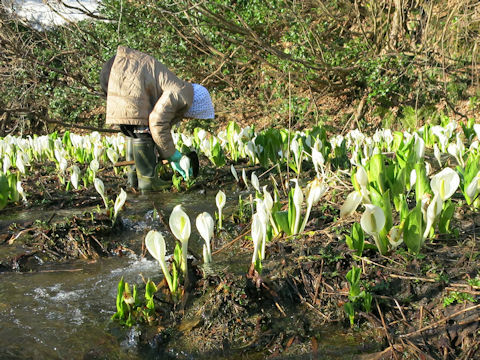 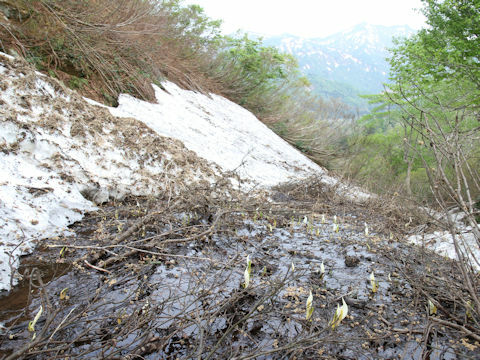 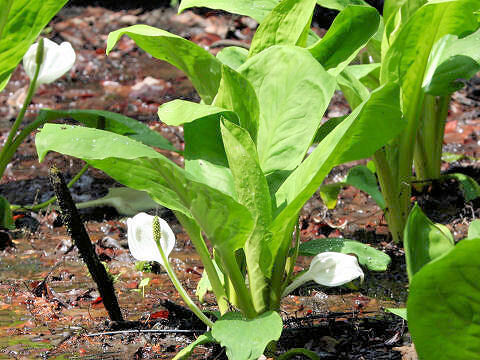 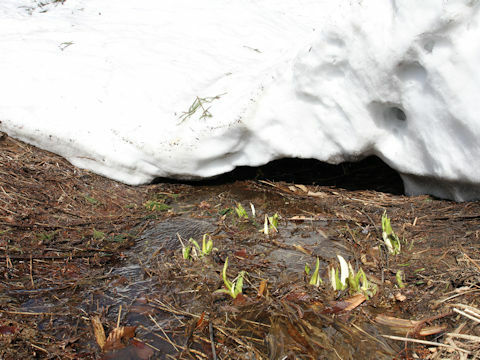 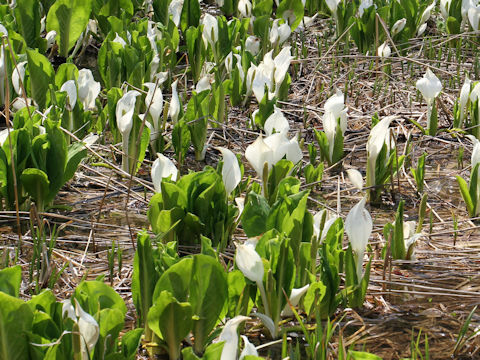 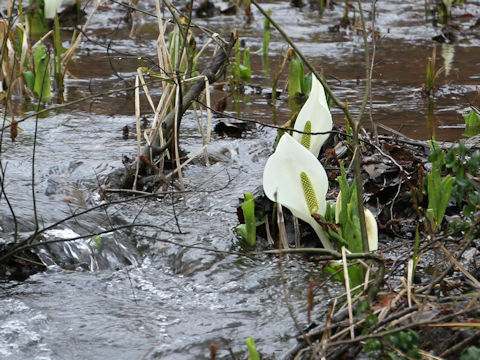 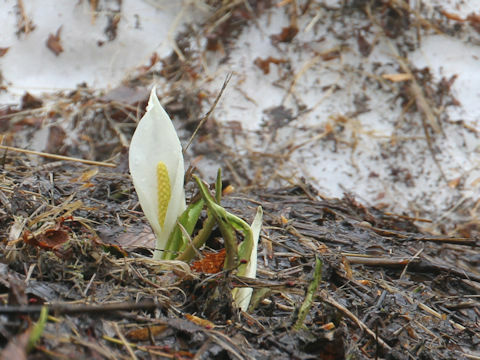 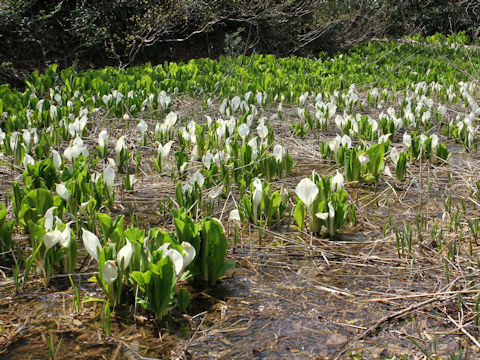 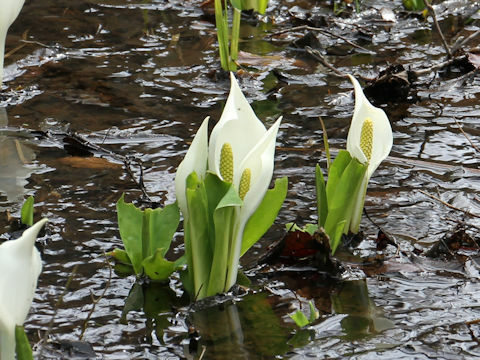 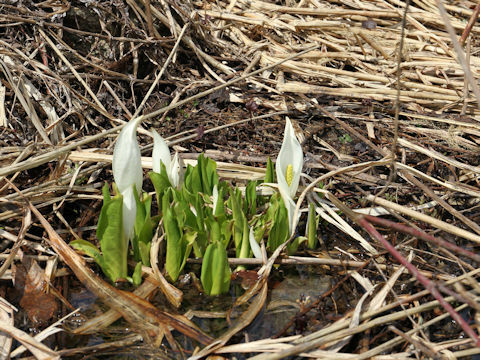 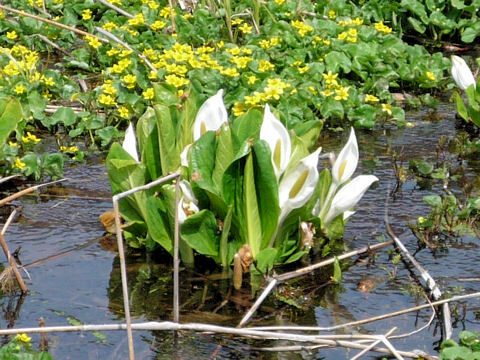 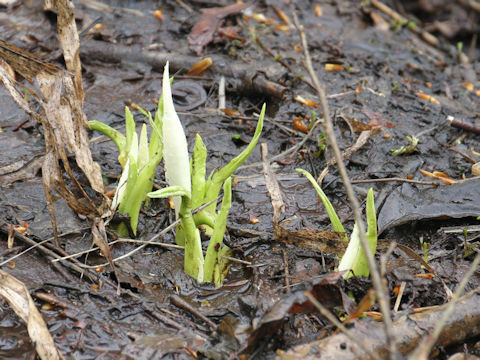 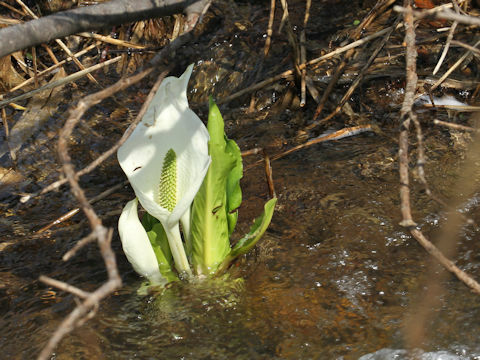 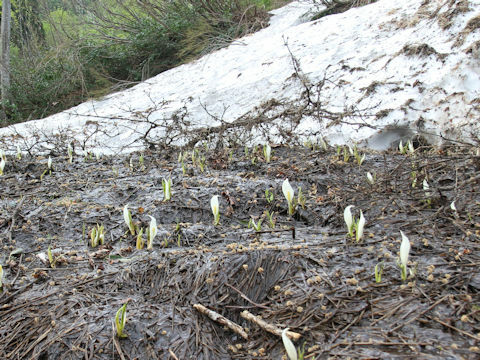 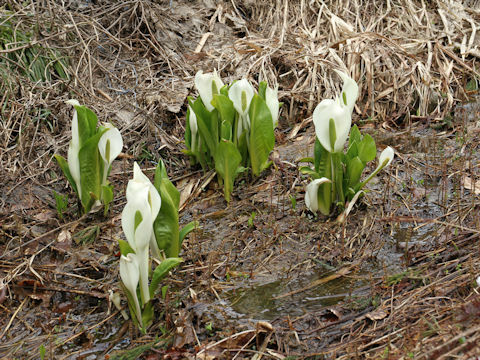 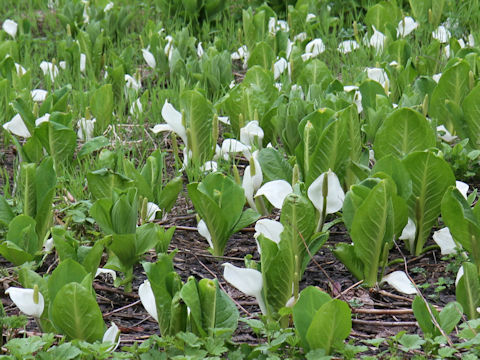 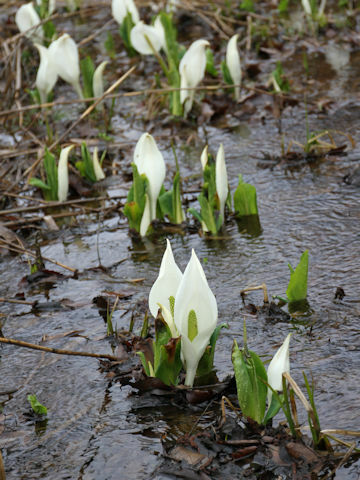 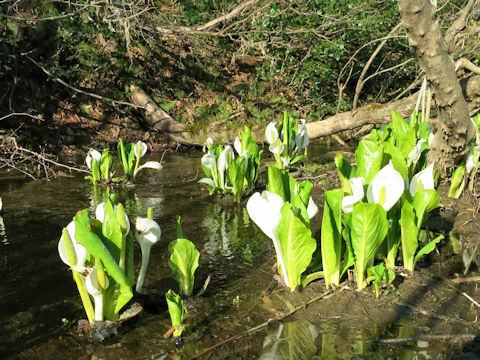 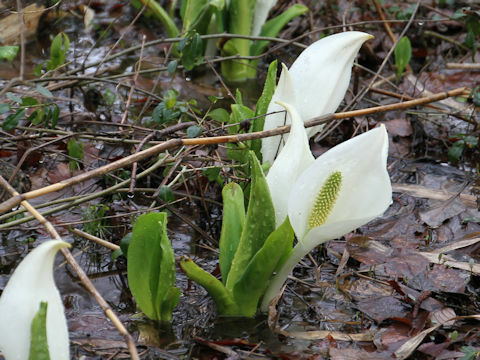 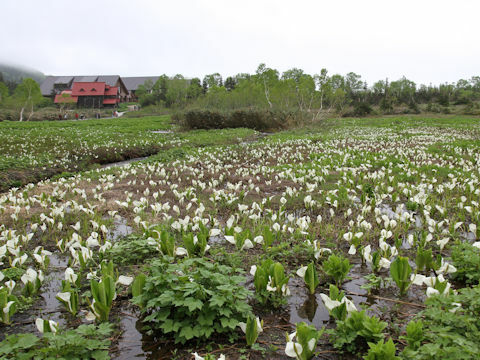 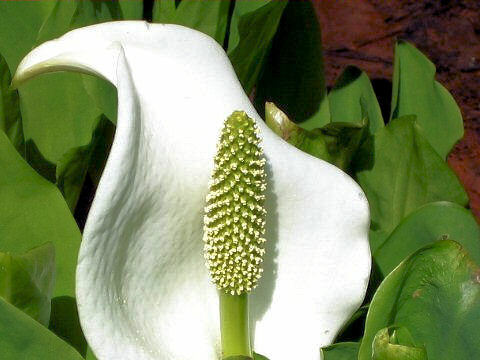 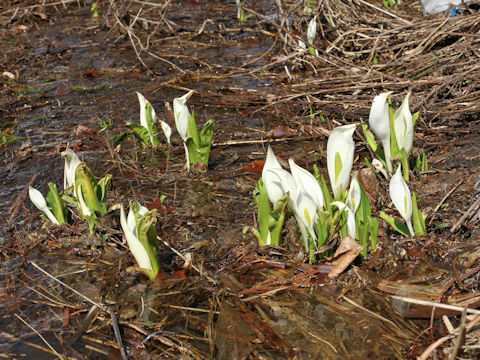 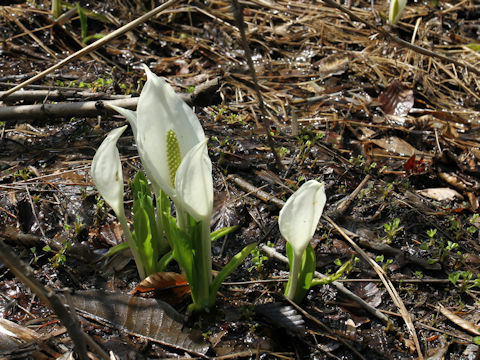 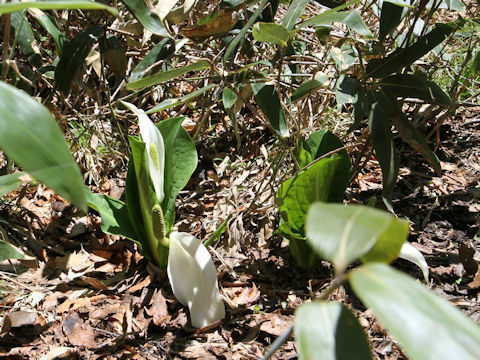 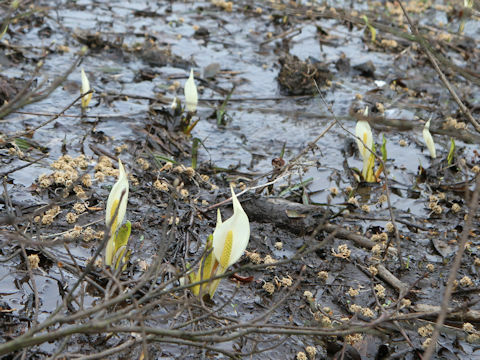 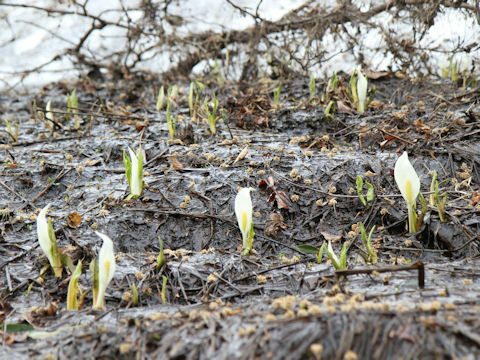 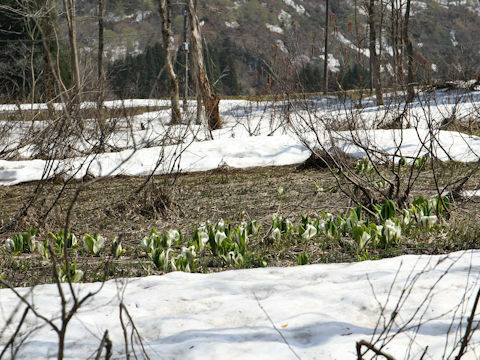 They consist of white spathe and yellow columnar spadix.